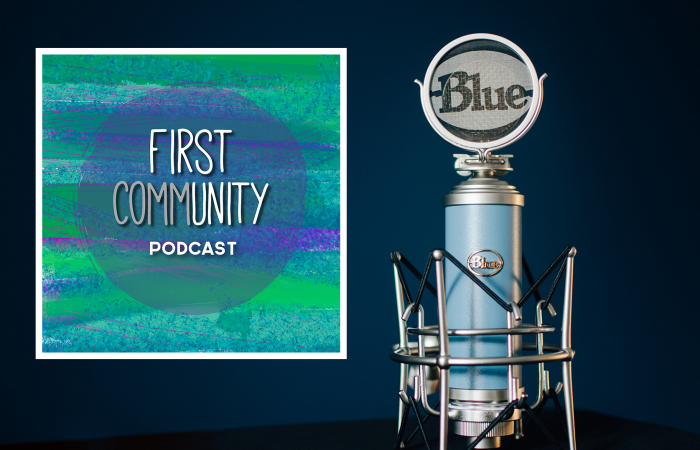 Welcome to the First Community Podcast where we talk about life and faith with our First Baptist Family. Caroline and April … wait for it … talk about about waiting (haha!) and the frustrating process of sanctification that it provides. They get a little vulnerable and probably share too much. And April is sorry to anyone who has ever had to ride in an elevator with her. Then treat of all treats, FIRST organist Charlton Bozard comes on to tell us how he ended up at First Baptist, what role that waiting has played in his life, and tells some amusing wedding and funeral stories. Listen online below or go here to listen/download/subscribe on iTunes for free (so you can listen in your car)! We had a full studio for this First Community Podcast! The whole episode is about baby Jesusses … the ones from the Columbia Christmas Pageant, that is. Thirty years of Christmas Pageant means 30 years of baby actors, so we talk to now grown Katherine Hufstetler (Baby Jesus 1996)and Emma Debenport (Baby Jesus 1998) about their experiences through the years in the Christmas Pageant, as well as reveal *spoiler alert* that Caroline was Baby Jesus 1995. April is the only one in this podcast who has never portrayed Jesus. April and Caroline sigh (ok, April sighs, Caroline talks) through the topic of forgiveness, sharing some personal stories of what it means to let it go. The legendary Bob Debenport comes on to share what God is doing in his life now and looks back on all of the miracles that he’s seen in First Baptist Church over the past forty-something years.